Hi everyone, Steph Ackerman here today and I'm thinking about Christmas!!! If you are like me, you have tons to do around the holidays and you run out of time every year. So, even though it is wicked hot here in New York, I decided to create some gift card holders. I find I give mostly gift cards these days and that is just so boring (from my perspective). But, I find if I dress them up somewhat I am much happier giving a gift card! I started with envelopes - sealed them and then cut off 1/2" from one end. I have tons of envelopes so this is a great way to use them up. I inked the edges with Vintage Photo Distress Ink. Since I was going to use ribbon, I decided to ink it up in keeping with my vintage theme. 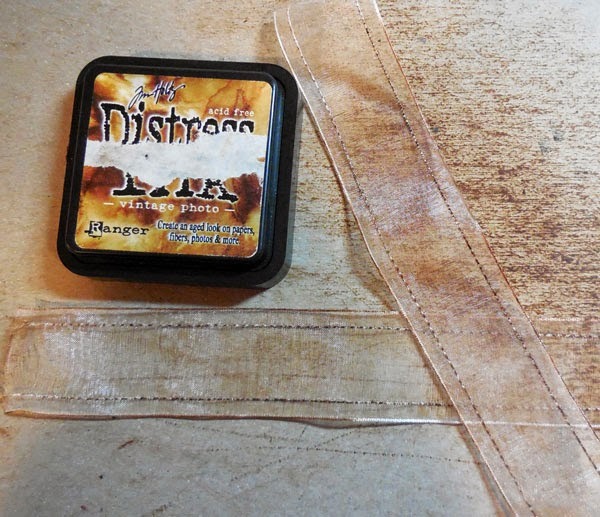 Just swiped Vintage Photo Distress Ink pads around both sides of the ribbon. So I ended up with 2 gift card holders, pretty much the same, but I changed up some of the papers, tearing, inking and adhering them to the envelopes. 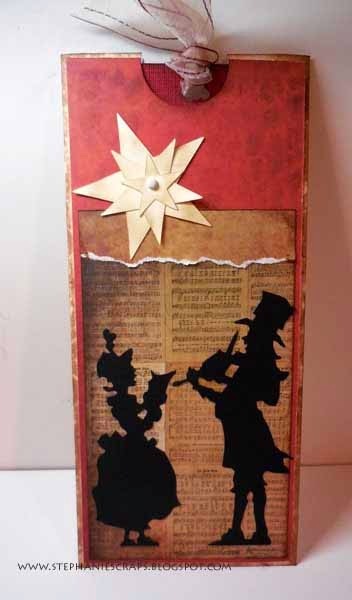 I chose the Sizzix Victorian Carolers as the focal point - there is something about these silhouettes that really appeals to me. 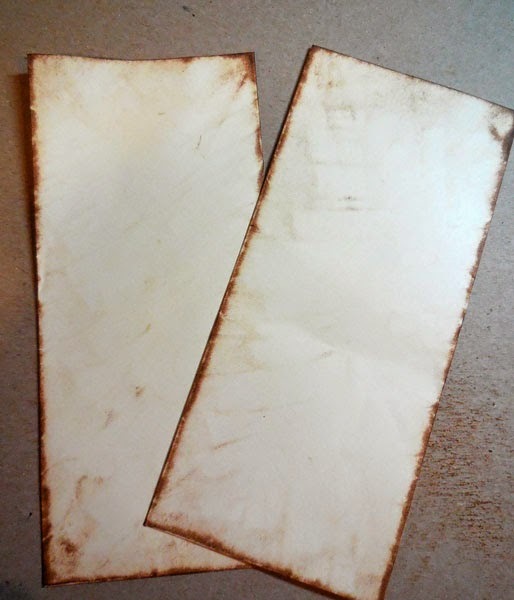 I also used Sizzix Stars, inking them with Walnut Stain Distress Ink before layering them and adding them to the envelope with a brad. I punched a half circle in the top of the envelope so you can easily pull out the interior card. The interior card is cut slightly smaller than the envelope and Merry Christmas was repeatedly stamped. Using some left over scraps of pattern paper, I created the panel that would hold the gift card in place. On this first card, I added another star and placed a sentiment on top. I didn't use a star on this card. I wasn't sure which I liked best, so I went with both. 2 gift card holders are done. Now, I just need to put them somewhere safe so I can find them in December!!! 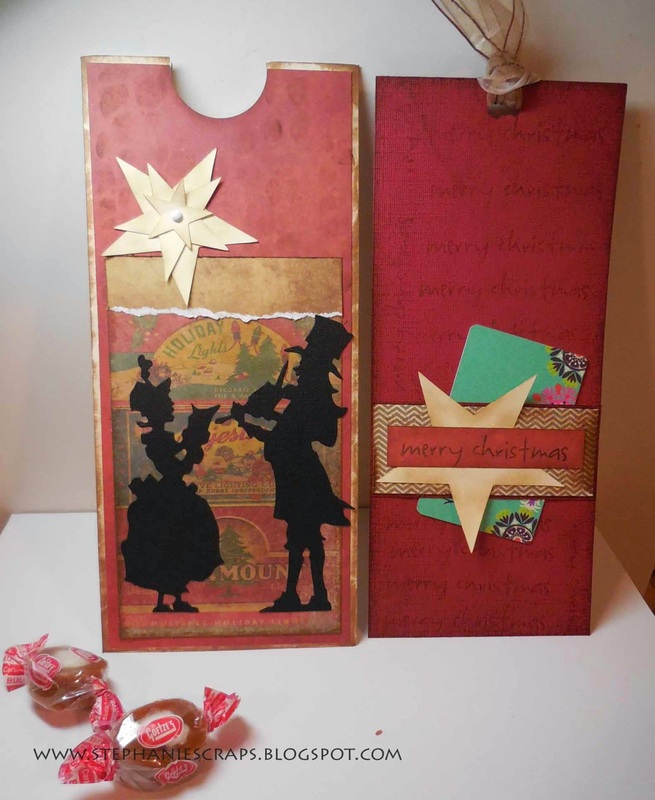 Love the design of your sweet gift card holders Steph - with the ribbon to pull out the piece inside! 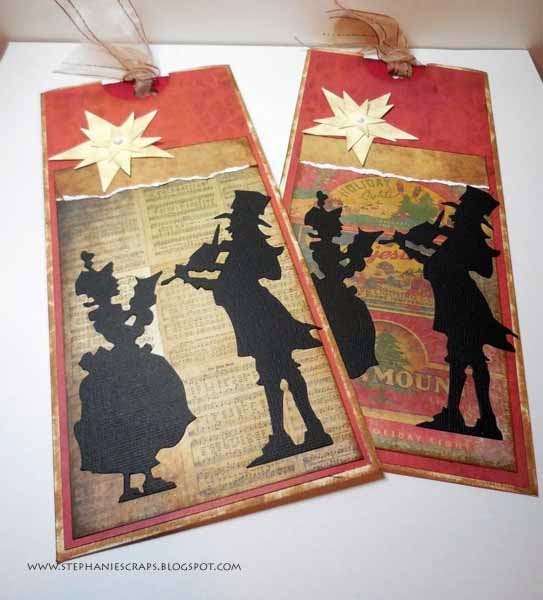 I love those Victorian carolers as well! - they really give you that old fashioned Christmas feel! WOW Steph! LOVE these and how vintagy they are! 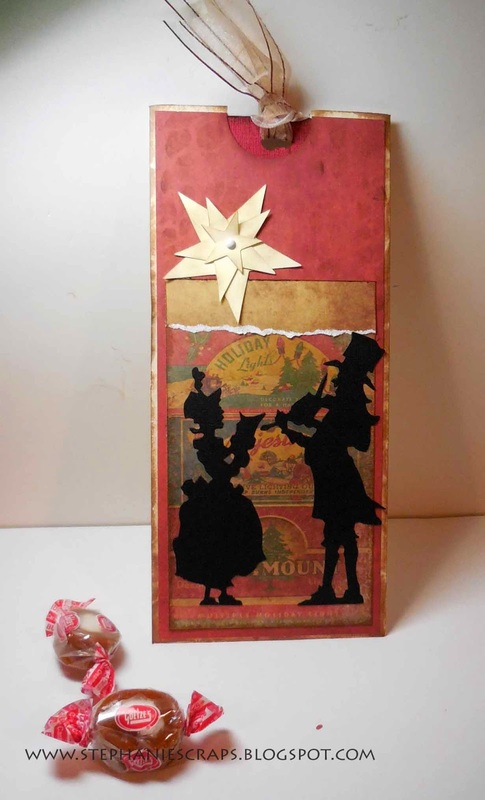 Great distressing and that star is FAB! Super idea! Very cute idea. 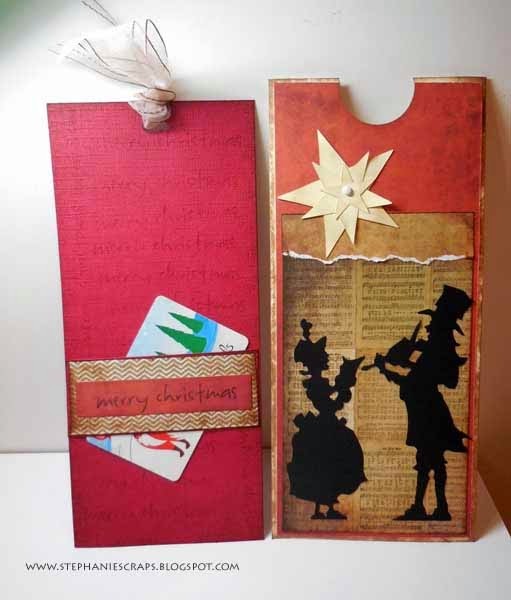 I love the Christmas in July because November and December are always a blur as I rush to make things for people.